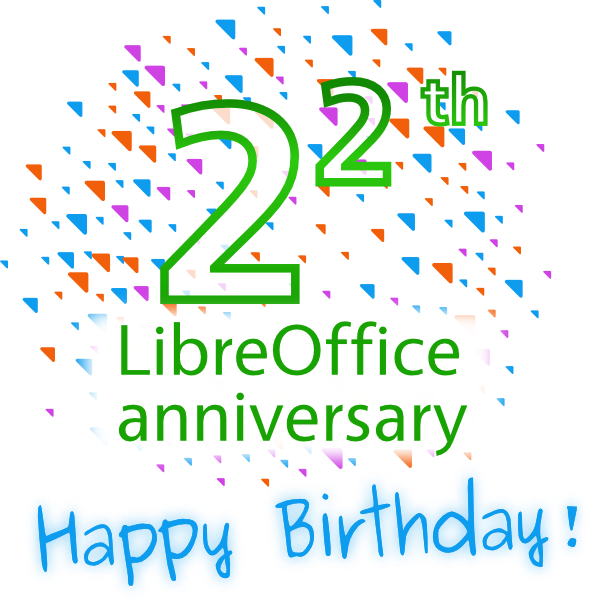 In a nice culmination of a month packed with family festivities and a gorgeous community event (our 2014 LibreOffice conference), today is the day that the LibreOffice project turns 4 years! 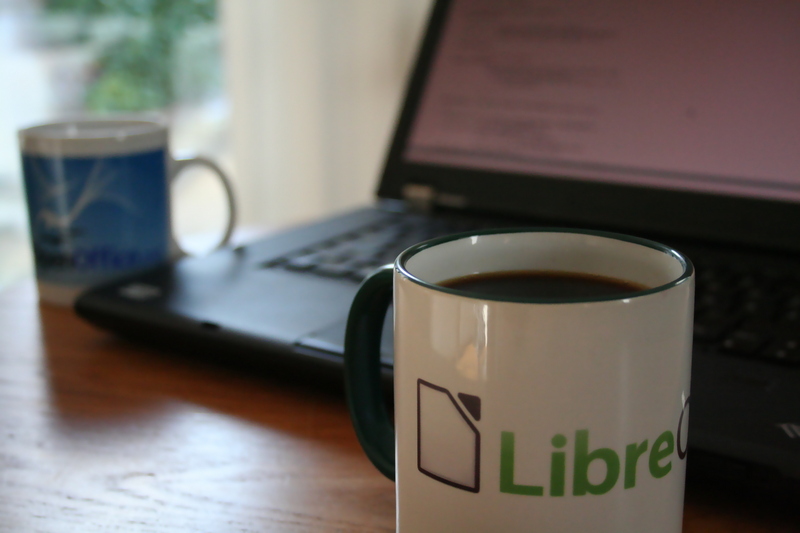 The project certainly has come of age since that special moment on September 28th, 2010, when after weeks of preparation (and an insane succession of all-nighters), LibreOffice entered the world. Run on a shoestring, off of a box thankfully sponsored by one of our initial supporters (but surviving slashdot), as of today the project has matured into an international community of thousands of contributors, hundreds of developers and a (small) number of employed staffers. Highlighting just two of the rather (from a 2010 perspective) incredible achievements of the project – that the LibreOffice development team managed to clean up the inherited OpenOffice.org code base to a point that we’re leading the pack from a defect density point of view – and that as a first, substantial donated funds will be used to further a LibreOffice port into the mobile space. 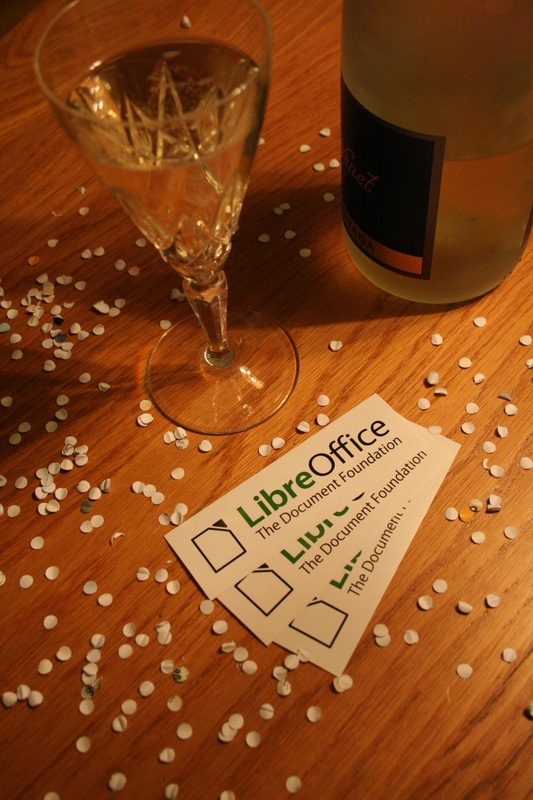 I’m insanely proud of being part of this, and would like to express my sincerest gratitude to all of you who helped making the LibreOffice project such a fun ride & success – you know who you are! 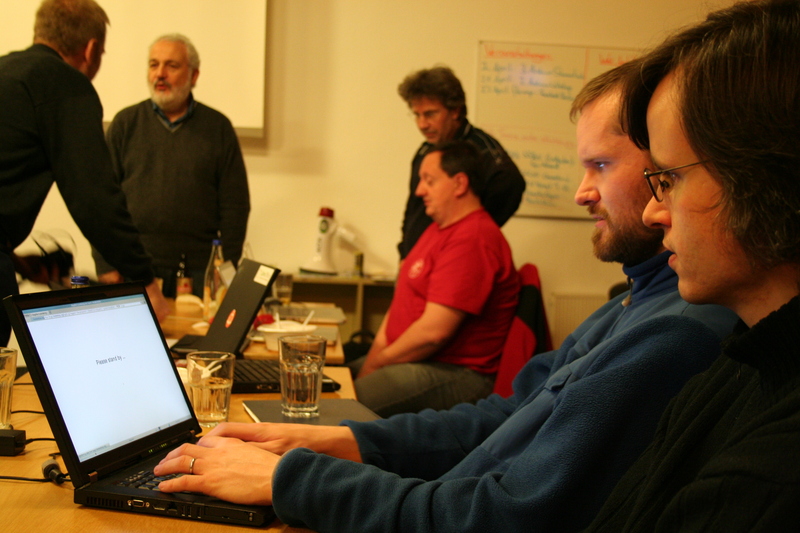 After the habitual FOSDEM and CeBIT, there was a new event, the Dresden Impress sprint. 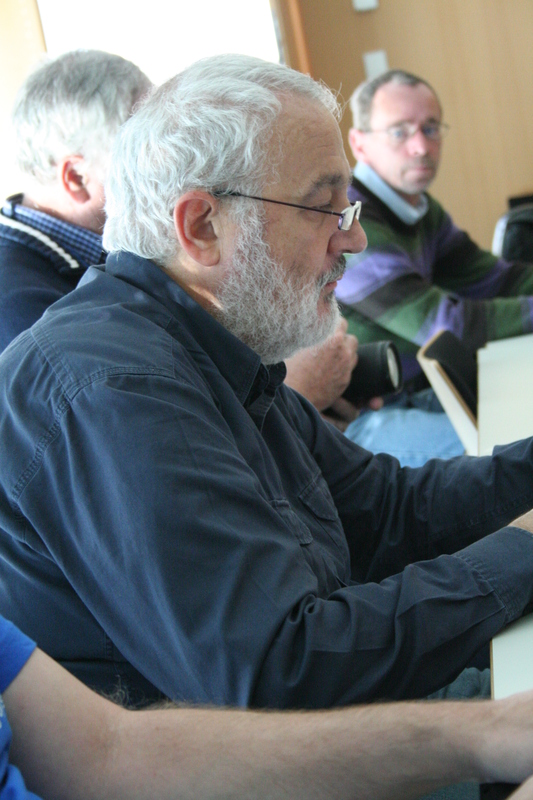 Thanks to the generous sponsoring from the Dresden Technical University Institute for Applied Photophysics around Prof. Karl Leo! Which was one of three turning points so far this year – after almost exactly ten years of living in small-town Buxtehude, we followed the beckoning of the big city and moved back to Hamburg (almost) downtown. The reasons for that are numerous, but two of them I’d like to point out here: childcare offers for people who want to work fulltime is still largely a mess in western Germany (Hamburg being a very notable exception) – you’ll see below why this suddenly became relevant; and secondly because the public transport system is just soooo much better, to the point that I currently ponder getting rid of my car entirely. 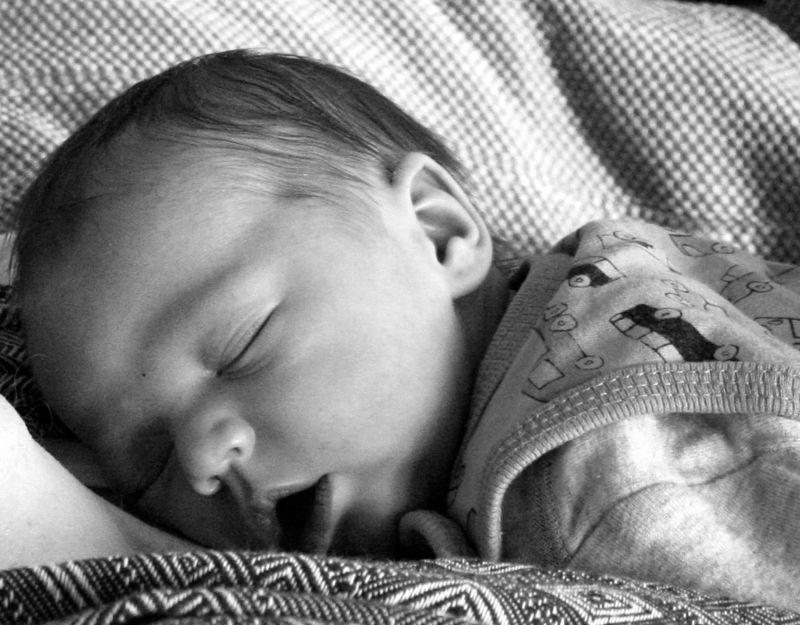 And definitely, from past (double-) experience, the most live-changing event in 2013 clearly was this little guy here – can’t say how happy I am to have you now, Alan Benjamin! 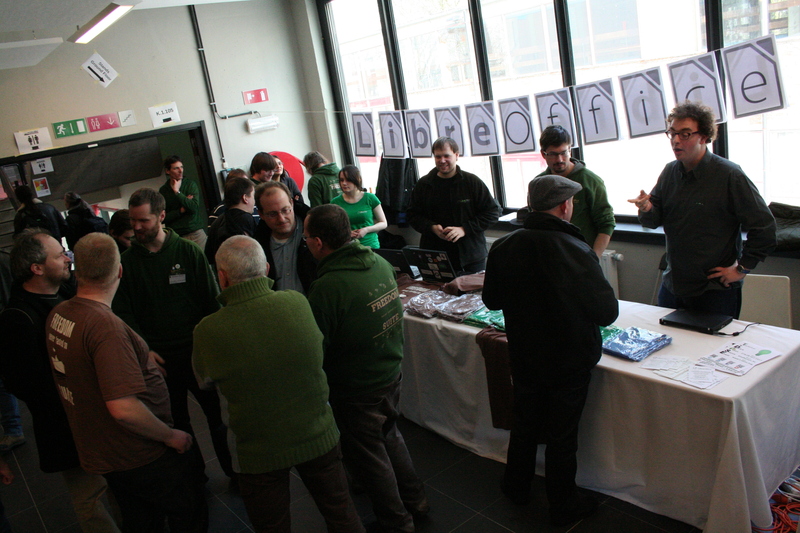 Already a while ago, but still worth sharing the pictures – FOSDEM 2013, another awesome conference, is over. 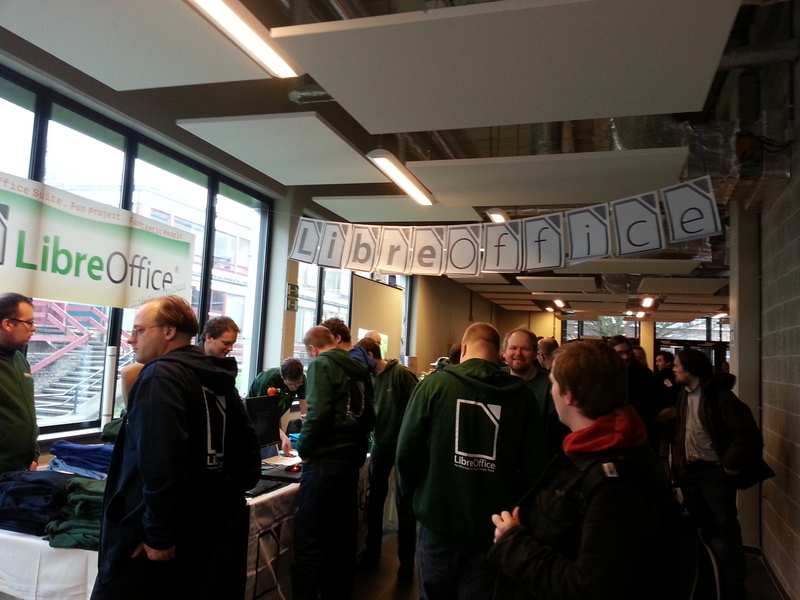 LibreOffice was again there with a booth and a dev room, and some 17+ people from the project attending, manning the booth and holding talks. Lots of thanks to the many helping hands, and hat tips to Eike, Cor and Rob for trucking all the stuff around. My dev room talk is available here. A mere two weeks ago, TDF and the LibreOffice project also attended CeBIT, the world’s largest and most international computer expo. Hosted at the Univention booth, and professionally represented over the week by Thomas and Jacqueline, numerous questions were answered, explanations given, and many new and old relationships cultivated. Further more, Florian, representing LibreOffice, also received the Linux New Media award for the best Open Source Presentation software. 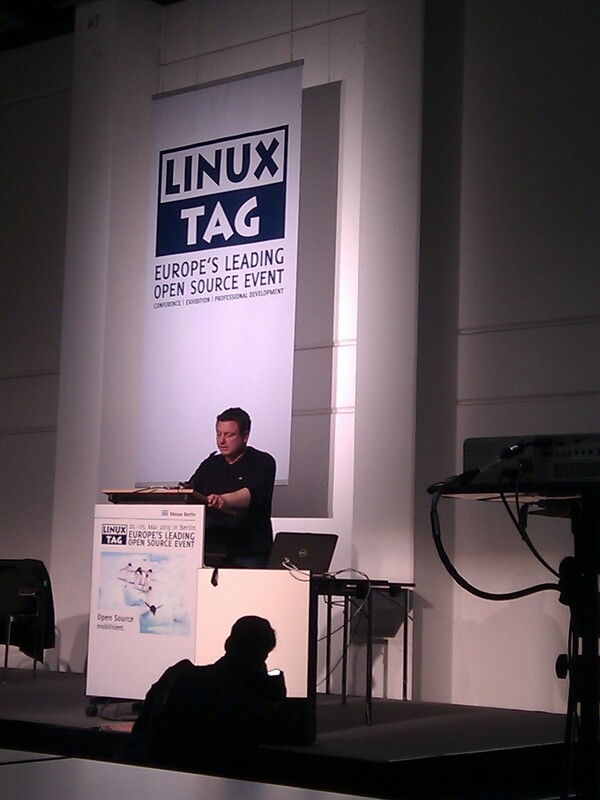 In more than just this aspect, the continued TDF and LibreOffice presence at CeBIT keeps paying off. Kudos to David and his wonderful wife for hosting me and Florian for the night. LibreOffice and The Document Foundation continue to grow, with a succession of events especially in Europe that left me lagging substantially in reporting back here. 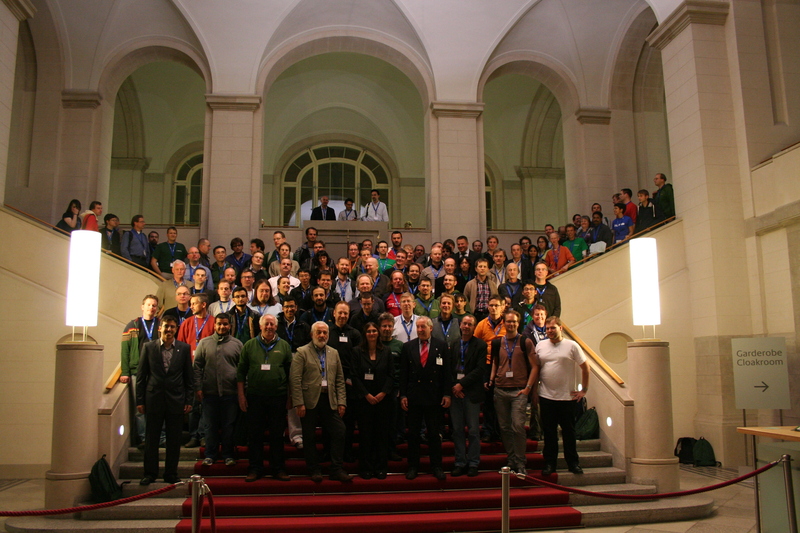 In no particular order, three weeks ago, the 2nd LibreOffice conference concluded in Berlin. It took place at the conference center of the German ministry of Economics and Technology, clearly one of the best locations I’ve ever been for such an event. Below you see the reinforced organizer team’s swag production line on Tuesday morning, in a hurry to equip the late-arriving green LibreOffice conference backpacks with giftware. In the end, we were lucky and all was ready & done for the registration at Wednesday morning. Tuesday afternoon then had a number of meetings, including TDF board and ESC. 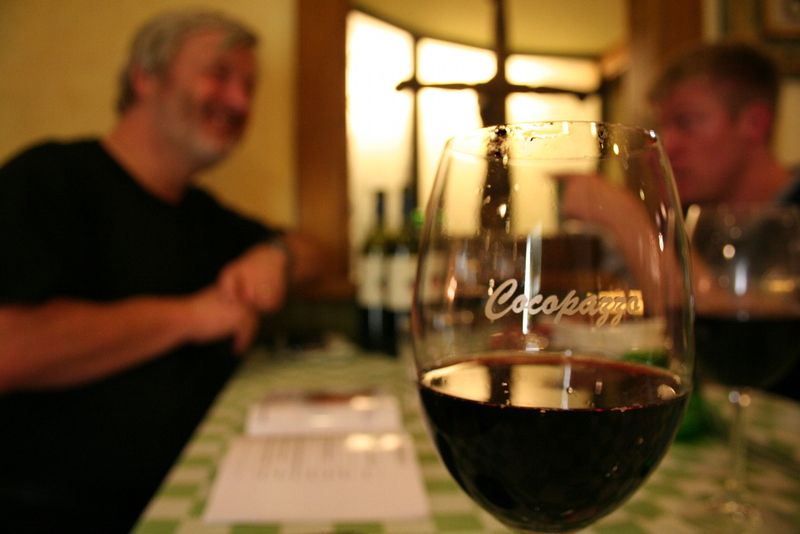 Below you see Italo with Olivier and Leif in the background, getting ready for the annual in-person board meeting. For me, the conference was stressful and terrific at the same time – and we were more than grateful that it went so smoothly and successful in the end. A million hat tips to our organizing team, lead by Jacqueline, and to the two federal ministries for co-hosting. Most rewarding again for me, was meeting all the wonderful people from the community in person. Below you can see those of the roughly 180 that were still present on Friday evening. 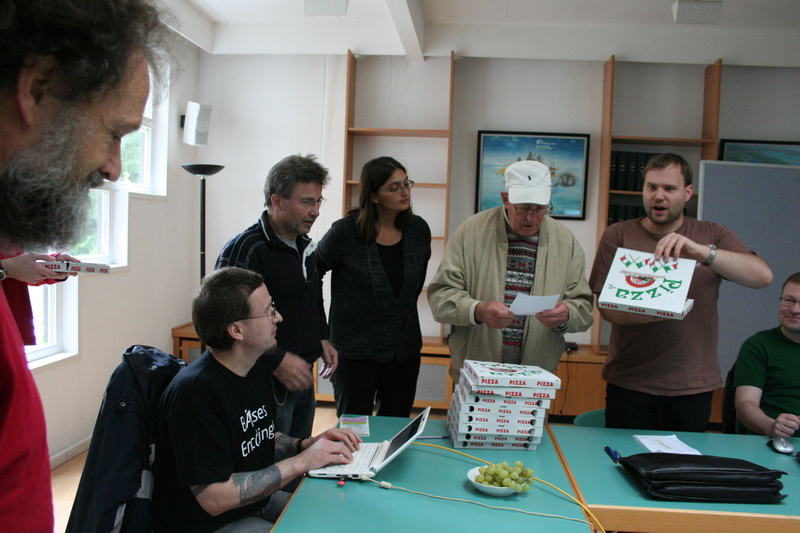 As we speak, the organizer and video teams are still busy populating the LibOCon 2012 reviews page with the slides and video footage; once that’s concluded there’ll be a separate announcement. After that, the SUSE crowd migrated a few hundred kilometers to the south, into the beautiful city of Prague (one would think, into warmer climate – but nope, while I was out in tshirt in Berlin, Prague had us stay inside hacking, with single-digit temperatures and drizzling rain). 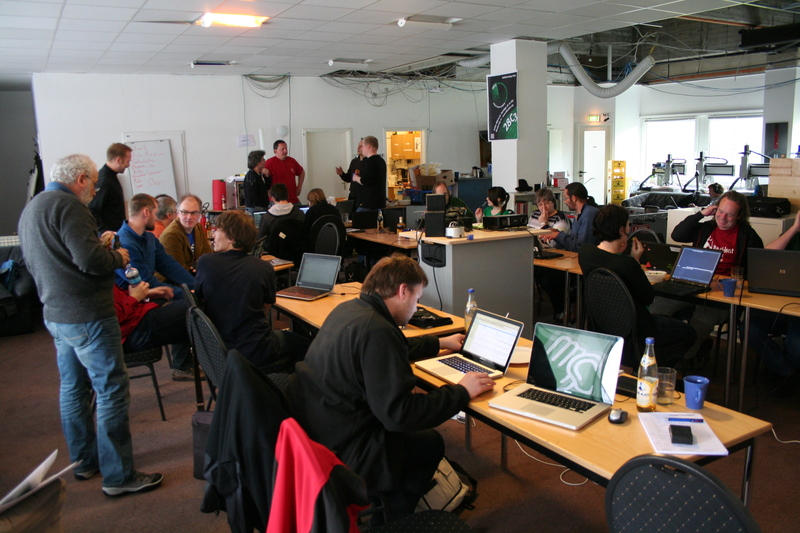 There, we attended both the openSUSE and the SUSE labs conference, and had some more focused team allhands sessions. Great to see the many excellent SUSE hackers again, and to spend facetime especially with the LibreOffice team. 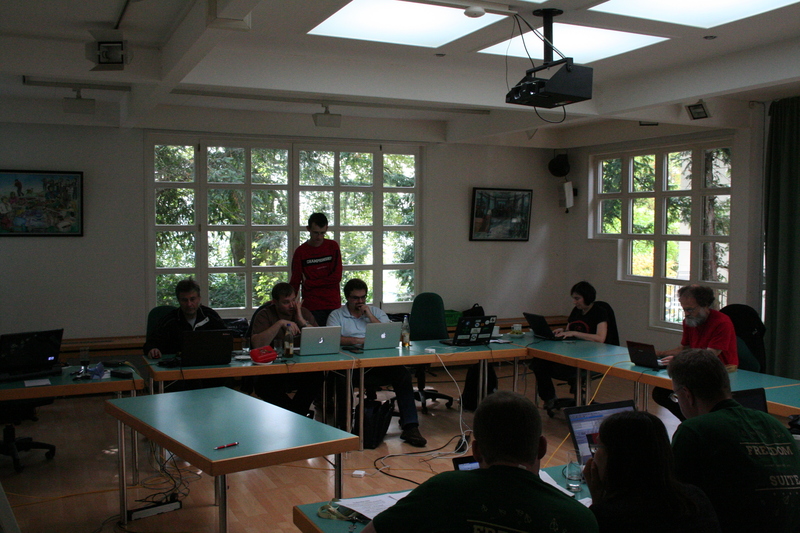 And even earlier, already end of September, the German-speaking community had their annual QA weekend meeting, at the lovely Linux Hotel in Essen, Germany. Was very happy to meet our QA volunteers in person there, sometimes for the first time, as with Florian Reisinger, who very energetically led through most of the QA topics. I can’t enough stress the importance of talking to people face2face every once in a while, we sorted out a number of issues there, that I believe would have festered much longer otherwise. With the ongoing fund raising for 2013, TDF will continue to organize those and similar events, and predominantly help with travel sponsoring for community members. If you want to play with this, go grab the code, checkout the feature/svg-export branch, build according to the build guide, and check the Tools->Options->General “Enable experimental features” box. Enjoy! Since The Document Foundation got formally established as a German charitable foundation earlier this year, we were pondering a number of activities to sponsor, that would be in line with our statutory and regulatory obligations. As our statutes advise TDF to further the use of Free Software, among other things, by introducing children and adolescents to FLOSS and LibreOffice in particular, one rather obvious problem with that is a certain language barrier (there’s considerable use of slang in youth culture, alongside a lack of older vocabulary sometimes used in UI), plus an issue with comprehending longer, more complex sentences (which pop up in e.g. tooltip help, or LibreOffice documentation texts). I will seek to get EU funding for that, if at all possible, especially since via that project, TDF can hopefully also contribute to this new field of linguistic research – e.g. by supporting case studies on how more easily pupils take up UI that’s presented in “their” language, compared to standardized German. Which, in closing, really is one of the many strong selling points for FLOSS – the Freedom to tweak, and translate, to your local user’s needs, whatever you think they are. We will work on this, and many other things by the way, at the upcoming Hamburg Hackfest on April 14th/15th. Announced since a week, and incorporated with the stamp of the Friday before, TDF now has finally gotten the legal entity we wished, and worked for so long. It took us about a year from having a plan, to pouring that concept into legalese and a setup that fits the mould of a German Foundation (“Stiftung”) – a process that seems unduly long from the outset, but I can tell you we didn’t sit there twiddling thumbs. Because what we achieved is unique in Germany, and even beyond, being the first Free Software project managing to obtain the status of those almost-eternal, state-supervised, truly stable trusts that German Foundations are. Normally employed by this solitary millionaire, wanting to put his wealth to charitable purposes after his demise, in setting up a trust with a charitable mission, we found this to be the perfect vault for all the value our community built from, and around, what Oracle left lingering of the OpenOffice.org project. But with everything new, people, and especially authorities, need some time to warm up to. TDF was no exception, and our statutes, as well as our patience, was put to repeated, thorough tests. With the result that our statutes got all the loopholes removed, an equivalent of 10 meter fingernails got bitten, and in the end we had our desired entity approved. Including the enduring membership rights we wanted, in the city of our choice – with Berlin being such a wonderful icon of reunion and post-war solidarity. With the rest of the TDF board, we’re now working on setting up operations in Berlin and transferring assets. Happy Birthday TDF – and kudos to all who helped making this a reality!